Joint sueding improves you doll’s posing. This technique is simple, reversible, and can help your doll hold poses better. Check out the video tutorial HERE. Doll’s Afternoon is now selling two new doll heads made by a company called Breath Doll. The heads are normal skin resin and the color is listed as closely matching Volks resin. The heads are Named ‘Cass’ and ‘Bambi’. The Bambi head is designed to fit 1/3 size bodies including Volks SD9, Luts Delf boy and girl, and Custom House Ai. The Cass head is designed to fit Volks SD13 boy, Luts SDF boy, Luts Delf boy, or Custom House Ai bodies. The heads come blank or can be ordered with a face-up for an additional fee. Cass and Bambi are handmade by the artist. Dream High Studio will be selling a new doll named Tiko. 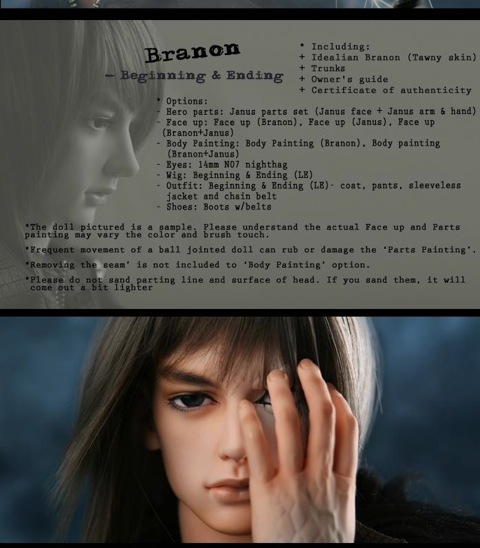 He will be sold as a full-set in a limited edition of 25 dolls. The doll is created by Indonesian doll artist by Donny Harijanto with costume by Linda R. Tiko will be sold exclusively through Luxour Academy.